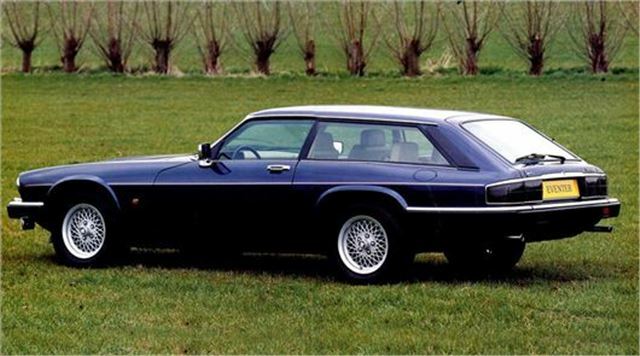 I had one of the last of the XJS V 12’s. From new. Lovely car but the V12 was the 6.2 which compared to the 5.3 was lumpy thanks to all the emissions stuff strapped to it. ( only 308hp) it got through tyres every 11000 miles & was regularly in the garage getting something fixed. Final straw was the auto box had the odd “tizzy”. I decided I did not wish to own it outside warranty. Shame really as when I bought it I had intended to keep it long term. The garage also did something odd to it on 1st Service (1000 miles) it was returned to me with the fan belt rubbing on the radiator filler. After it came back again, it kept showing sludge in the water filler cap. Garage said it was probably inhibitor put in by the factory. I have my suspicions what happened on that 1st service but it put me off the car. They are lovely & a bit like Morgan’s. If you can get a well sorted one you will not be disappointed. Over the years I had 3 of the 6 cylinder versions, all hard tops. If I went for number 4 it would be a convertible. Lovely drive and bucket loads of style. Yuk. They were a travesty of a replacement for the E type. A barge. I think the Cabrios look really good. My wife had the cabrio version of the latest XK for a day when her car was in for a service. We both loved it.